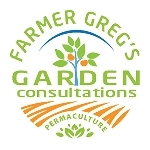 This is a one-on-one phone consultation with Farmer Greg to help you plan and plant your urban farm projects. Our goal is to help you succeed, and sometimes that means you need a little more personalization than is available in our classes and webinars. Click on the logo below for more information.